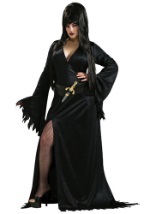 Men won't be able to take their eyes off of you in this elite plus size vampire costume. 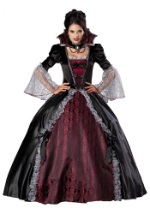 The gown is delicately detailed with layers of black lace around the sleeves. 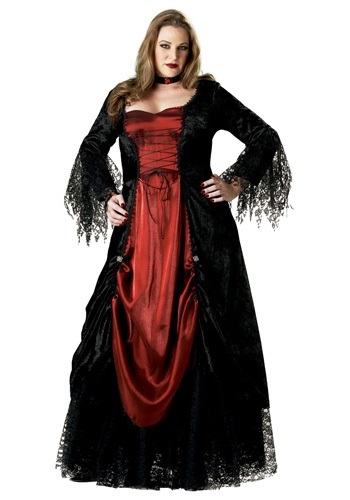 The iridescent red fabric at the center of the dress gathers together at the skirt with the surrounding black material of the dress and is embellished with a silver metal button. 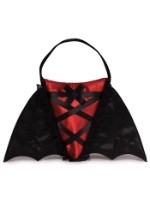 The chest laces up in the front of the bodice. 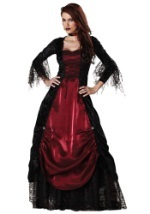 The petticoat is a separate piece worn under the skirt and has a comfortable elastic waist with layers of lace detail on the bottom. 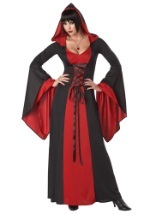 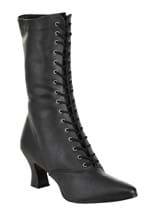 This costume also includes the black velvet choker with a red gem in the center. 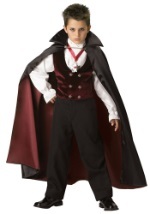 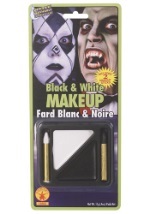 Pair this look up with one of our men's vampire costumes for a couples look. 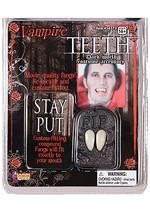 Add a pair of custom fangs to take your Halloween costume up a notch.